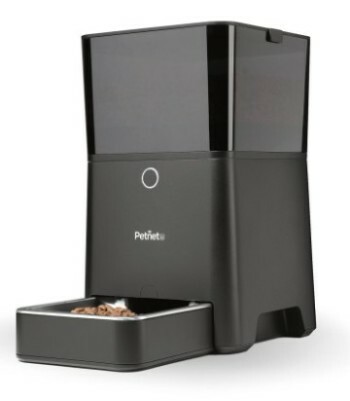 (3.7/5) Petnet SmartFeeder is an intelligent automatic pet feeder that you can program and control through your iOS device, SmartPhone or iPad. This smart feeder allows you to remotely program a feeding schedule, select portions of food, feeding times and how fast each meal will be dispensed, preventing cats from inhaling the food. The feeding schedule and portions are fully customizable, you can program each meal at any time, any portion size from 1/16 cup (approx. 0.5 Oz) up to 1 1/2 cups (12 Oz) at a time. You can feed your cat several times a day, as much as you program the unit. If you don’t know what’s the best amount of food for your cat or what’s the best food for your pet, Petnet SmartFeeder’s software is able to calculate the right amount of food for your cat and suggest you the best food for your pet based on its nutritional needs. Petnet iOS Apps has the largest pet food database. 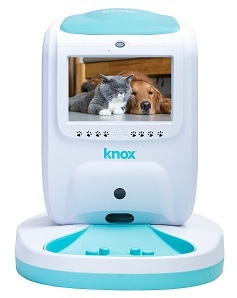 Also, this intelligent unit has the ability to control the food inventory in the hopper and notifies you if you are low in food so if you want, you can order more food through the Apps directly to Petnet and they deliver to your doorstep. 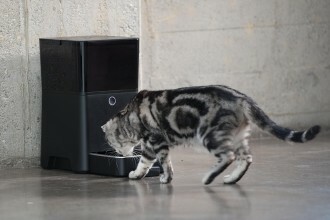 Petnet SmartFeeder allows you to manage your cat feeding activity in real time, anywhere in the world. You can program feeding times, portion sizes and feed speed, according to your cat weight, age, and activity level. Receive alerts and notifications on your Smartphone with feeding times, meal confirmations, food inventory, and battery life. 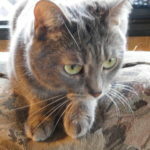 Petnet Apps helps you to choose the healthiest pet food for your cat from a large database, with thousands of pet foods and order more if you run low. Made for: iPhone 4s, iPhone 5, 5s, and 5c, iPhone 6 and 6 Plus, iPod Touch, 5th Generation, now also for Android 4.4 KitKat or greater. New features: Better connection of the food bowl, stronger internal feeding wheel. A ramp that helps the kibble slide down the tray. 1) Main unit, 2) Stainless steel Bowl Insert, 3) Food Hopper, 4) Lid and Band, Micro USB cable (8ft) and 5) User’s Manual. Note: the manufacturer offers a special Petnet Ramp designed for helping big or irregular shaped kibble slide down the tray easily. You need to register your purchase and they will send it to you. Petnet SmartFeeder can be programmed remotely from your SmartPhone, Android or iPod Touch, 5th Generation, using Petnet Apps from anywhere in the world. To integrate the feeder into your SmartPhone you simply need to configure SmartFeeder to your home Wi-Fi, following the instructions. Petnet SmartFeeder uses sensors to detect if your cat is eating the right amount of food and to know if the hopper is low in food. 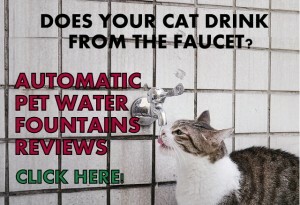 It features a learning software that creates charts of your cat feeding activity. 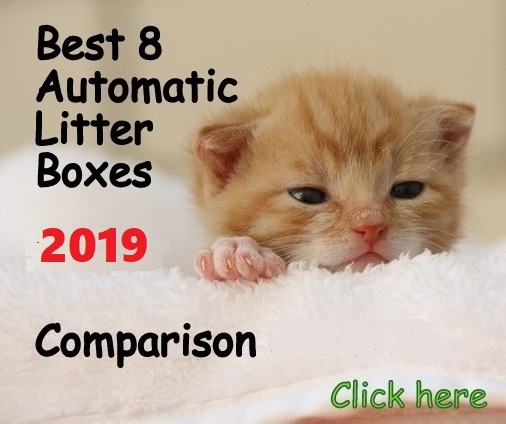 The unit stores and accesses data from the Internet Cloud, having a large pet food database from where Petnet suggest you the healthiest cat food for your cat according to its characteristics. Using Petnet Apps you can program a feeding schedule that will be dispensed automatically. The feeding schedule programming is based in one-day-setup. This means you need to set up one day that will be recurring automatically every day. Consequently, the programming is not based on the 7-day calendar that you can program differently for every day. However, you can change the schedule whenever you want from your SmartPhone. You can manage the Petnet only from your Smartphone, if you want a feeder that you can control from a PC or from your Smartphone you can check the Feed and Go automatic feeder. 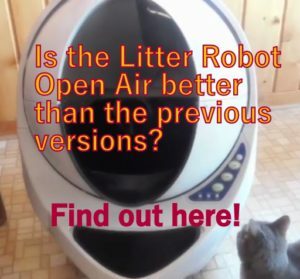 Petnet is cat-proof, it features a lid that can only be opened by turning in a counterclockwise direction and with 2 latches so it can only be opened by people. A. Choose the feeding times in the day (example: 8 am,5 pm, 9 pm). You can choose as many times as you want for your cat to eat during the day, 3 times a day, 4 times a day, 8 times a day, etc. And you can choose any time for each meal as well. B. Choose the portion size for each meal (example:1/16 cup, ½ cup). The range goes from 1/16 cup up to 1 1/2 cups each meal. This allows you to choose a different meal size for a different time of the day, example big breakfast and small dinner, snacks, etc. You can opt for the feeder to calculate the ideal portions for your cat, based on your cat’s weight, activity level, and age. You need to feed a cat food that is in their database for this. C. Select the dispensing speed. This allows you to choose how fast the meal will be dispensed. The Apps shows you a line that goes from “Slow” to “Fast” and you move the pointer over this line to set up the speed as if you are setting a volume. 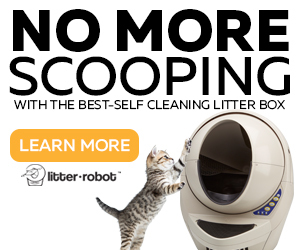 This feature is useful if your cat gorges all its food at once and then vomits. 2. Feed a “One-Off Feed” at any time from your SmartPhone. 3. Check Alerts & Notifications. Petnet SmartFeeder Apps notifies scheduled meal times, when a meal has been served, how much food it’s in the Inventory and the battery life. 4. See Feeding Insights: This option shows your cat’s feeding chart with the amount of food your cat has eaten, if “Too Much”, “Too Little” or “Just Right”. Petnet SmartFeeder Apps contains a large cat food database with nutritional values, matching your cat’s nutritional needs with the best recipe available in their database. You need to enter your cat’s characteristics of age, breed, weight, level of activity and the Apps will suggest you the best cat food for your pet, calculating the right portion as well. If you want to find your cat food in the Apps you can use your mobile device to scan the UPC Barcode of the food’s bag and the Apps database will recognize it. If it doesn’t, you can search for “Brand and Recipe”. If your cat food is not in Petnet database, it will be added later once the bag’s barcode has been added. 5. Food Delivery: You can order Petnet to supply your cat food every time your inventory is low, directly from your Apps. Petnet supplies the users preferred a choice of healthy pet food and they deliver to your door. This transaction is issued into a secure TLS encryption system. 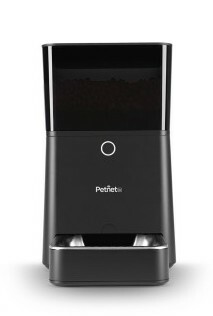 Petnet SmartFeeder works with AC adapter and battery simultaneously. The lithium-polymer built-in battery works as a backup in case accidental unplugs or power outages. The duration of the backup battery is up to 7-8 hours and Petnet App sends you a notification if your battery is running low. To charge the battery you have two options: plugging the micro USB cord directly into a charging outlet or disconnect the bowl and plug it into a charging outlet. The feeder does not work with external batteries. Ability to program and control the unit remotely anywhere from your Smartphone. Each meal is fully customizable in times and sizes. Ability to program as many meals as you need within the App. It reports you how many calories your cat is eating, excellent to keep your cat on a diet. You receive notifications of meal times, meals served, food inventory and battery life. Stainless steel bowl and food hopper are removable for easy machine wash.
A sturdy and solid unit, with a low center of gravity it’s not easy to tip it over or make it wobble. Secure lock type lid, with a twist-open mechanism. The feeder Apps only supports a single pet at a time. The internal battery has a limit of 7-8 hours of backup when fully charged. Sometimes, the unit loses connection. A minimum amount of 0.5 Oz might be too much if you want to feed your cat few kibble as snacks. Bowl is not big enough to feed two cats. Sometimes, some kibble sticks up inside the unit and don’t fully drop onto the front of the bowl, causing the unit to jam. 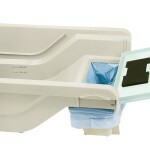 Update: Now the manufacturer offers a ramp that helps kibble to slide down the tray without getting stuck in the chute. If you feed your cat big kibble or triangle, star, fish shaped kibble, make sure to register your Petnet to get a free ramp from the Manufacturer. This will prevent jamming. 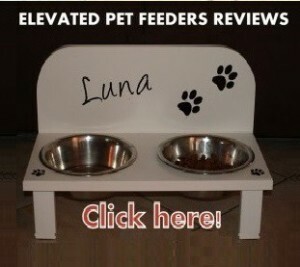 See in Amazon how the feeder works (US link) here. 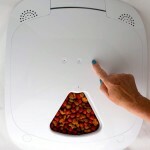 Petnet SmartFeeder has gone a step forward when it comes to feeding your pet. 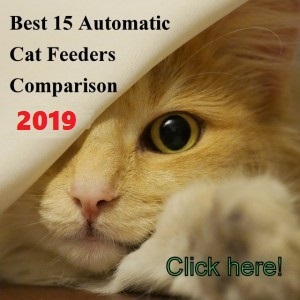 You can manage to program and controlling feeds in real time, selecting the best choices in pet food for your cat and supply your feeder when running low in food, all using Petnet Apps that act as an adviser in your cat feeding activity. Petnet originally had the Beta version for the first customers and now they released the retail version featuring better charging functions, improved plastics around the bowl for better protection and a lid made from tougher plastic to ensure the food freshness and durability. In the past, the feeder had some issues with the bowl getting disconnected, but now the Petnet comes with a stronger bowl connection. Another flaw was the internal wheel deteriorating over time, causing small pieces of rubber getting into the food. This issue has been addressed and now the feeding wheel is made from a much stronger material. 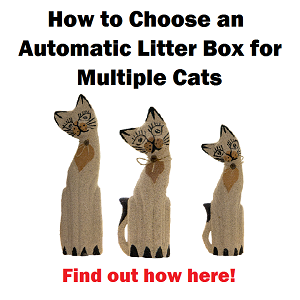 If you want to have the ability to change your cat feeding schedule anytime, anywhere. If you like the idea of an App that will fully help you to manage your cat food intake within the best nutritional standards. To be used in areas subject to long power outages (longer than 7 hours) if you won’t be home overnight or for some days. Can this only be used in the U.S. ? Or can it be used for example in Australia with different voltage? Hi Jeremy, in theory the SmartFeeder should work if you change the power adapter. It’s important to mention that Petnet’s electronics and wifi capability haven’t been tested yet in Australia. Hi Jeremy did you try this in Australia? How did it go? Where did you buy it? Thanks. Update to my own reply… I use this here in Australia and it works great. Customer support has also been great – they replaced the base unit when I got the ‘disconnected bowl’ issue. Awesome product! Hello Shaniqua! 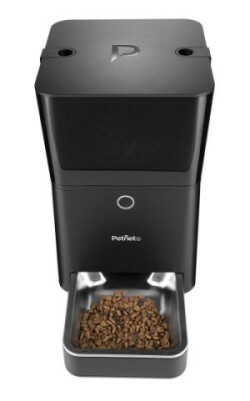 The Petnet SmartFeeder is made with BPA-free plastics and the bowl is equipped with a stainless steel metal insert (which is dishwasher safe). Hi David, they are currently developing App for Android but I understand they haven’t lunched it yet. You can check the Hoison feeder review here which works with both, iOS and Android. Hope that helps! I’ve had the feeder for about a month with no issues. Now today the connection of internet keeps disconnecting. I’m currently waiting for an email response from tech support, but do you have any ideas as to what may be the issue? Hello Katie, sometimes kibble get stuck on the feeder when it gets dirty inside and this cause it to disconnect. Try to clean the food hopper and tray and see it this solves the problem. I have two cats. I understand that one unit is not suitable to feed two cats. However, if I were to purchase two units, would I be able to manage each one through the App? I would likely feed each cat the same amount at the same times. Is there a way to set up two units to function the same simultaneously, or would I have to use my phone, for example, to manage one unit and another iOS device to manage the other unit? Please advise. Thanks! Hello Elisabeth! Unfortunately that option is not available. Currently, the Petnet SmartFeeder is made to use with one iOS device. Hello Amy! In case o power outage the Petnet has a backup battery that will last up to 8 hours. After this time, the feeder needs to be plugged to continue working. Regarding interruption to Wifi, the Petnet will continue working for 48 hours, but it’ll need to communicate with Petnet’s server to continue functioning after that. My wifi went out last weekend and the feeder wouldn’t work. I could use the manual button, but it was not automatic. If I hadn’t been home, my cat wouldn’t have been fed. Now I’m worried to leave for the weekend in case my wifi goes out again. FYI, I have a brand new router, so that’s not the problem. Hello Robbi, the Petnet should continue working for 48 hours after Wifi interruption. After this period of time, the unit needs to communicate with Petnet’s server to continue functioning. Wow, what a thorough review! My girlfriend loves her petnet SmartFeeder. Just a note, they now support Android devices too. I will update with that info, thank you.